of course, then I ask if today's map can be superimposed to see the change. What a cheek! 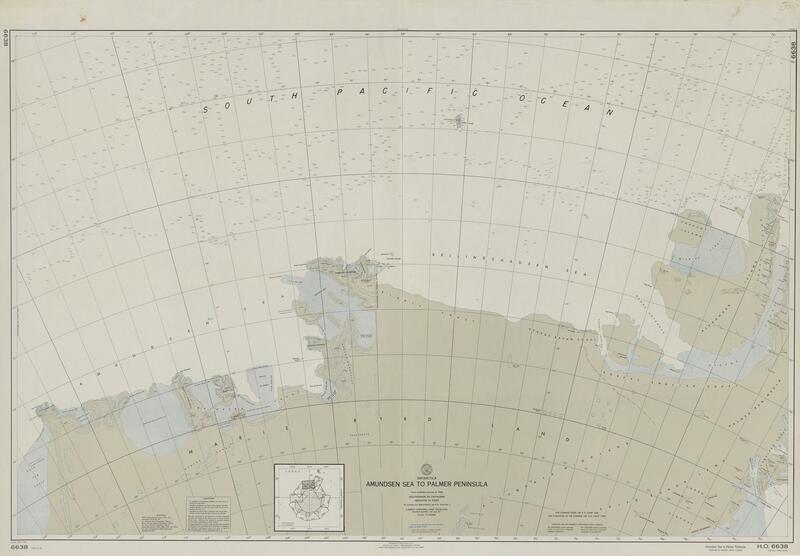 According to the map just linked the little island(s) now ice-free are named Clark Islands. Not sure I would trust me if I were to try tracing the line. Not sure if that ice front date is 1907, 1927 or 1937. Ice front perhaps is similar to 1972-2016. 2018 moved more, however bay seems to have widened?? Nomenclature can be confusing. Fast ice doesn't move at all--it's stuck fast to the land. More breakage from PIG - SE corner under haze (top left, glacier front) between 19 & 20th Jan? It is obvious how the remains of the calvings in front of the PIIS have accelerated as soon as the fast ice broke up. I didn't expect that sea ice alone would have such an immense buttressing effect. It does not have to be an effect of the sea ice, but quite possibly a common effect of a strong northward wind/current that both cleared the sea ice and the calving remains. If that's the case, I would guess the same factor is also pulling at the ice front, tearing away any loose pieces and slightly increasing chances of further calving. I want to thank the several people posting frequent updates, images and animations in this thread. I won't list names for fear of forgetting someone, but you know who you are. Recently it's been very active and interesting, as befits "ground zero" of SLR in Antarctica (along with neighboring Thwaites). Steven: Absolutely brilliant. I kindly ask you to update that animation to provide us with the dynamics of this "most actve" Antarctican glacier. Here are two detailed pictures before and after this little calving event from Sentinel on Jan 01 and Jan 21. The frame size is around 18 x 10 km. I scanned the PIIS for any cracks and I've found two of them, probably both were already mentioned in this thread. It was a little bit tricky to draw the green line along the cracks on the image but I tried to reproduce their position as exactly as possible. Unfortunately no Sentinel picture was completely cloudless, and Dec and earlier photographs weren't useable for a crack detection, probably due to too much snow on the glacier (or the cracks haven't been there at that time!). We should follow their position, width and length to be prepared for another major calving event in 2019. The distance of the "southeastern crack" from the calving front is approx. 10-12 km. The shorter crack in your image already appears to be quite wide by the last frame (which is Jan. 23) of the animation by Adrian Luckman posted above. SW corner breaking beyond end of small crack - larger ice being propelled by finer debris (as was SE corner last time). Need cloud-free pics to see main crack, more to come this season? Some clockwise circulation near face of glacier, increasing finer debris but area not clearing much. Edge of fast ice still slowly degrading around Thwaites and its old 'berg. Thank you for that information. I have just checked with the latest Sentinal image from Jan 21. I guess it is the area west of the shorter crack I mentioned above which looked already kind of scattered. I circled the "suspicious" area in orange. NE to it the aforementioned crack in yellowish green. A crack I didn't mention in my yesterday's post is visible at the outlet of the SW tributary glacier. It has a length of around 1200 m and has been there for many weeks. I marked it in a red circle. With the "naked" front of this glacier, combined with today's minor calving event and no support or buttressing in any way, a calving also of this glacier is i.m.o. likely this year. Before I finish: SE to that mess there is an area which seems to contain various icebergs in a frozen sea. I marked that area in blue and this area goes beyond that frame which has a size of around 12,5 x 25 km. Wait, how can that be icebergs. If I understand the orientation correctly, it's probably some ice rise. These glaciers are hard to wrap your head around. The last posted Sentinal image pre-dates the last calving (estimated in orange area) and PIG is from right. My images (reply 920) are screen shots from arctic.io. and show the newly exposed end of the crack shown in yellow. The area circled in blue is the edge of the glacier, both sides of which tend to look broken and dark, break up irregularly and on the last two occasions have produced a "puff" of smaller ice behind the main 'bergs. Perhaps interestingly, the big calvings used to have lost connection at the edges first, now major 'bergs split from the glacier without that preparation. (reply 913, video from adrianluckman), but the back pressure from the SW tributary has also gone as the calving advances upstream. Does the fact that there is an "ice rise" principally exclude the presence of frozen sea water with ice bergs in it above that ice rise? I am no glaciologist, so please excuse my question. If the glacier has retreated back further than ever previously known and the glacier is moving forward, then surely the ice almost certainly originated from snow further inland? to me as FredBear said. I hope I understand that correctly. The ice bergs in that region of course originate from PIG. 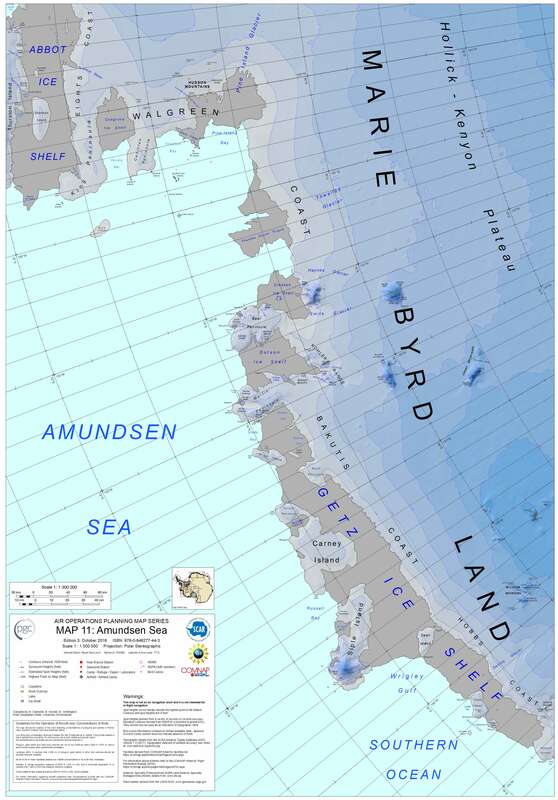 But couldn't the "gaps" between them be already open sea, covered with (thinner) sea ice?? Looking at the coastline marked on worldview, suggests that bedrock is below the waterline in this area. I think the ice is floating at that point so when ever a crack opens it fills with seawater and possibly meltwater from below. You see dark areas where cracks open in Luckman's animation. Information where the grounding line is for the ice is probably further up the thread. Thoughts of an "ice-rise" just complicates the picture - the edges of the PIG move more slowly than the centre and have large cracks where they are stressed, which probably produces the smaller ice debris too. The major cracks across the centre of the glacier are often covered by drifting snow and are only revealed as the snow ablates or the cracks widen . . . and calved icebergs break up in ways that demonstrate more weaknesses that had remained hidden. A day of complete cloudlessness on Jan 31 allowed a clear Sentinel picture on the PIIS. I checked the cracks and I detected three of them. In yellowish green there is the crack (actually it is two cracks not yet connected together in the centre) I reported about some days ago. It looks quite new with sharp edges. In brown there is another crack which looks much older and which is filled with snow. This is probably the crack wipneus and ASLR mentioned some months ago. The third crack in pale magenta is the one close to the calving front. It has not changed in width and length since last week, but due to the rapid movement (has anyone a number of the speed of PIIS at hand?) it has changed its absolute position. Sorry Stephan. I've removed it, should have been more careful. Of course! Since the recent calving there is visible movement on Worldview in a month. Using Sentinel, comparing the images from 28/12/2018 and 31/01/2019 it appears the rate is around 4.6 km per year (430m in 34 days). So it is maintaining the faster rate. Resolution on Worldview is too low to be accurate. The most recent pair of 23.1. - 29.1 shows a speed of just over 12m / day, only slightly below your result. So it seems, as expected, again an increase of speed of this fastest glacier in Antarctica. Higher speed also means thinning, stretching and a more likely formation of cracks and crevasses. This is what I heard from scientists in various youtube videos. Together with the missing ice at the junction of PIIS and the SW tributary and no sea ice at the calving front a bigger calving event is likely again - probably resulting in a higher than ever calving front. PS Is there any update of the position of the grounding line of PIG? Ah, that's a great resource. And indeed the flow rate from the first analysis is lower than the average, and the rate from the latest analysis is greater than the average. The change is only about 9% - 11 m/day to 12 m/day - but that is in just over 3 years. Thanks for the CPOM link. Watching the animation, the PIG certainly seems to be consistently accelerating. Edit: Checking that URL shows an image for 6th Feb and I can't seem to get to 7th of Feb now. But I definitely saw it earlier today - as per the screen shot below. The Sentinel images are brilliant (Reply 642) and if you use the forward and back arrows at the top it is so easy to see how things are changing. I usually use the arctic.io views which are showing that the large floes outside PIG/Thwaites have been cracking up (2019-02-11) like the ice surrounding B22A. (arctic.io is daily but smaller scale and clouds obscure some details). The blue marked iceberg is grounded and is located at the same place for quite a while now. That is now on its way. See below.